Switch off when on holiday at the camping Domaine de l’Esquiras and let us look after everything! From reception to shopping and catering... You can rely on us for your best-ever holiday. Our priority, here at Domaine de l’Esquiras? Ensuring our holidaymakers enjoy a stay that is as simple, pleasant and convenient as possible. 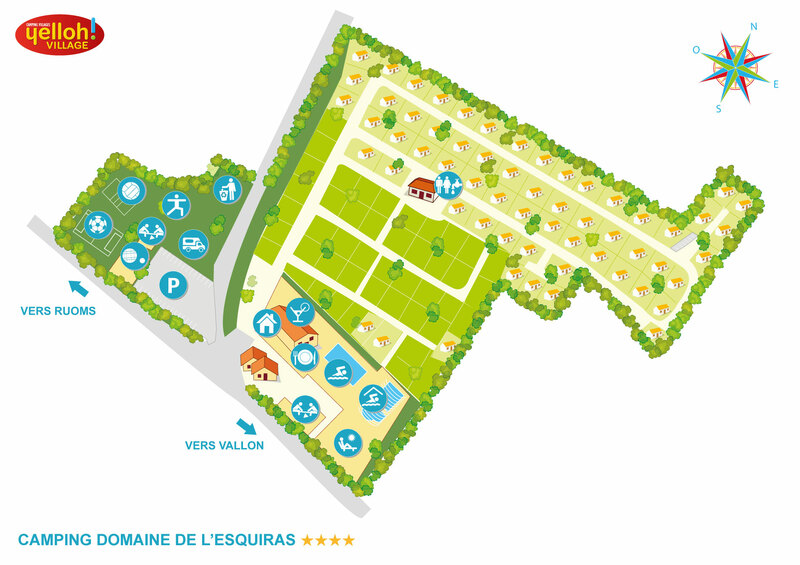 To keep the whole family happy, we’re here at reception to help and advise whatever your need: booking activities, providing tourist information or a concierge service, renting an electric vehicle, borrowing boules for pétanque, free Wi-Fi... And much more besides! What better than gathering all the family around a great meal on the terrace? Make life easy and head for the campsite restaurant! You prefer eating in your rental accommodation? Opt for the restaurant’s take-away service or discover the local produce on sale in our grocery. A refreshing drink or holiday ice cream, our bar is waiting to welcome you to its convivial atmosphere. Plus of course the fresh bread and pastries available to order from reception.